Human abdomen. Computed tomography (CT) scan of a human abdomen, partially sectioned and seen obliquely from the side. 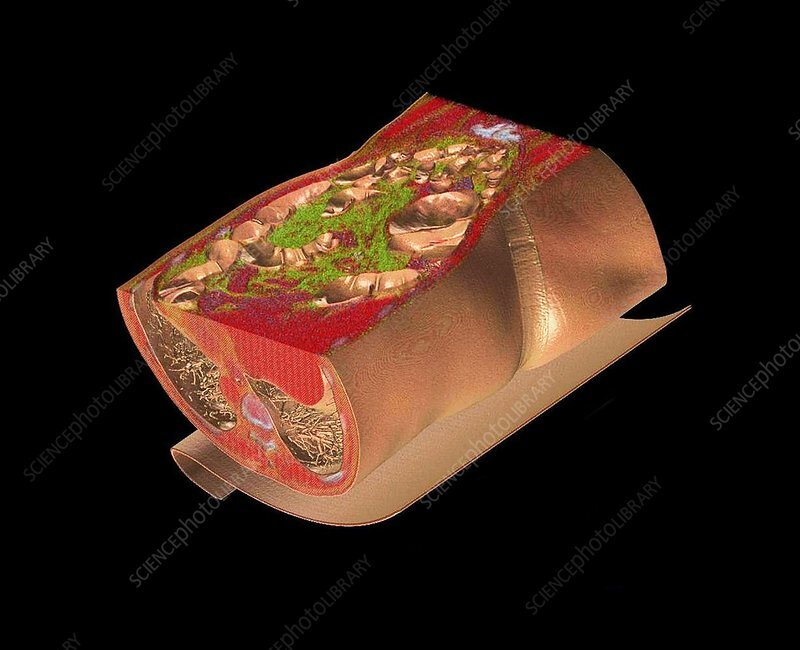 The tissue is depicted using a 3D volume rendering technique. Fat is shown in green.